There's a secret the Savannah locals know. We don’t speak to the ghosts here. They tend to answer back. We don’t whisper “who’s there?” at bumps in the darkness. Don’t look into mirrors in dark rooms, empty hallways, alone. There’s a legend, the souls of the houses, the old plaster walls, Savannah Gray Brick and mortar, and oak - they fell in love with the faces of the past, and invited them to stay. And stay. And stay. That is to say, the ghosts here, that you came to hear tell of - you've got to tread softly - because there’s more to these stories than meets the eye. We're proud to be Savannah's #1 ranked ghost touring company. We're glad you're here, friend. Let's walk a while. *please no bachelor/ette parties, or raucous groups - they attract the zombies. Ranked Savannah’s #1 Ghost Tour On Review Sites Like Trip Advisor! On Genteel & Bard's Ghost Encounter Tour, experience Savannah's darkest stories and most haunted locations. The creepiest, most immersive, story-rich, location-filled, Get-Under-Your-Skin walking ghost tour in Savannah - this is more than a tour - this is an unforgettable Savannah experience - guaranteed. We're not corporate. We're Local. We're Family-Owned and Operated. Fine Quality is our lifestyle. And it's our promise to you. Space is limited. Reservations required. We look forward to walking with you! Our Ghost Encounter tour is Savannah's creepiest, professionally curated, highest-quality, interactive ghost-walking experience. Our tour is just plain better than all the others, and we're proud to say it. You won't get stuck in a giant group unable to hear your guide. WE'RE SAVANNAH'S ONLY AUDIO-ENHANCED WALKING GHOST TOUR COMPANY. Your guide wears a mic so you can hear him loud and clear through your complimentary earbuds and our advanced wireless receivers. Our technology allows you to enjoy your personal space without feeling closed-in or crammed into a large group . Time and time again, our guests share their enjoyment for our technology, citing the ease of taking photos as our receivers work up to 100 feet from your guide. Unlike the silence between locations with other companies, our audio devices allow for a continuous storytelling experience, giving you the absolute most value for your money. We'll treat you like family, not just another ticket sold. We promise to honor you and your time, and we aim to be among the very best of your memories of your adventures in Savannah. *please no bachelor/ette parties, or raucous groups - they attract the zombies. We recommend a haunted pub crawl - cheers! A SAMPLING OF RECENT ACCOLADES . . .
Best ghost tour in Savannah! TC took us into the depths of Savannah's dark history. Afraid to go to Sleep! Best ghost tour I've ever been on! This wasn’t the burial place of tin men, heartless and void of story. The ones who lay here, possessed singing voices once, running feet, and lips made for kissing. Some people want to stay far away from Savannah’s ghosts and spirits, and others want to get right in the middle of serious paranormal activity! For those of you who are brave enough to sleep with spirits, these haunted hotels and inns are for you. You’d grab your shovel, run as fast as you could toward the sound. Someone was alive, and the bell, (tied to a rope and snaked through the soft ground of a grave - wrapped around the wrist of the dead) was ringing like crazy. WE LOVE SAVANNAH HISTORY SO MUCH, WE WROTE A BOOK ABOUT IT! We get a lot of questions about Savannah History - and most seem extra interested in the stories behind the stories, the mysteries, the dramas, the little-known details and intricacies that make Savannah the city she is today. 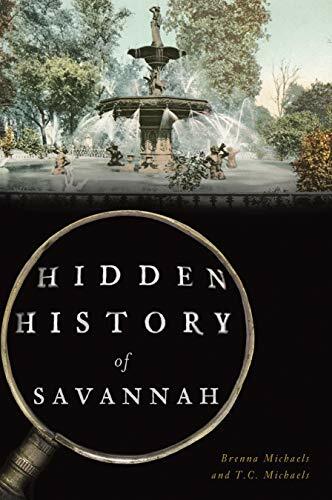 Here’s a look at our book, Hidden History of Savannah - available for pre-order on Amazon now! Savannah has repeatedly stood on the edge of ruin, brought to its knees by bloody battles, mysterious pestilence, fire, unforgiving weather and the drums of war. Men and women whose names echo in history once walked its streets. Countless other faces are seemingly forgotten, names that history held in looser grip--like Mary Musgrove, the colonial translator and entrepreneur, or Dr. Samuel Nunes, shipwrecked by chance on Savannah's coastal shores just in time to curb a deadly epidemic and save Savannah's first settlers. And then there's John Geary, the larger-than-life Union general who beat Sherman's march south to the sea. Join authors Brenna and T.C. Michaels as they explore Savannah's long, wide and very often hidden history. Keep a Bit of Savannah with you Wherever you go! WE’D LOVE FOR Y’ALL TO JOIN US ON INSTAGRAM! But in the spring she is EXQUISITE. From bursting azaleas, to sweet camellias, to sunny skies, morning dew, and that magical feeling of new beginnings. ST. PATRICK’S DAY IN SAVANNAH IS A BIG DEAL. Like, a really big deal. And because it’s such an epic celebration, often spread over several days, it pays to plan ahead. IT’S NO SECRET THAT SAVANNAH IS THE SOUTH’S MOST ROMANTIC CITY. 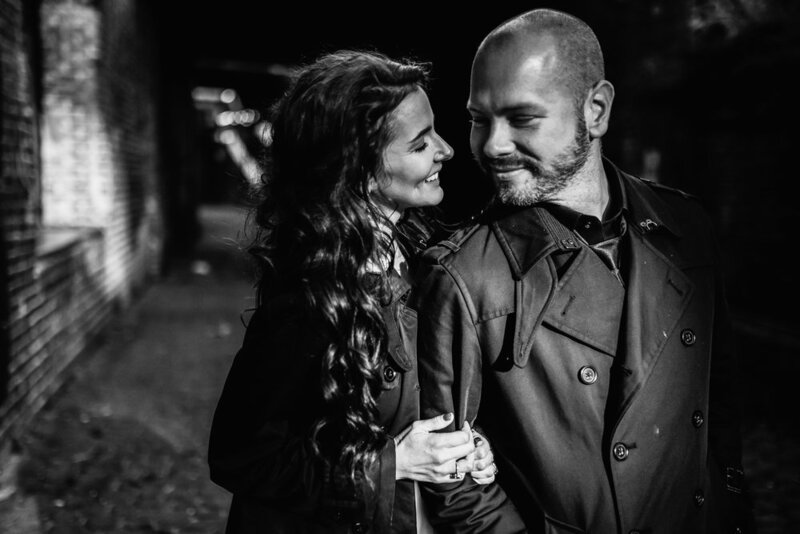 But there are definitely some tried and true Savannah date night favorites that T.C. and I find ourselves returning to again and again. So here’s a rundown of our perfectly romantic Savannah day. Gather your best gal pals and get ready to spruce up your closets! Savannah has no shortage of local boutiques I know you’ll love. What do you get when you combine a historic southern city with an array of opulent antique stores? A dream - that’s what. An absolute antiquing dream. Savannah has no shortage of romantic date spots - but a handful of romantic places that have us coming back again and again. Winter time in Savannah. What to expect. How to dress. Where to go. What to do. A vacation guide. T.C. and I have a particular affinity for Savannah’s Bed and Breakfast scene. There are so many lovely ones to choose from, and we’ve listed some of our very favorites! You could spend an entire day exploring Savannah’s many galleries! If gallery hopping is your go-to hobby, be sure to stop by these popular art galleries. In a city like Savannah, there are a million things to do on any given day. If you’re feeling overwhelmed with options, have no fear! We’ve narrowed down a few highlights that are perfect for your Savannah to-do list. Our Historic Savannah Walking Tour is an easy stroll with well-known Savannah personality, T.C. Michaels, through the most beautiful and walkable city in the U.S.. Experience Savannah's historic stories and see locations that shaped our country, while enjoying photographs, music, and first account letters. We're Savannah's only audio-enhanced walking tour - ensuring you can actually hear your live guide. You're sure to walk away with new friends and a deeper love for the Hostess City. This Savannah walking tour brings the museum experience outdoors, for an unforgettable live story-telling production you can't afford to miss. Tours and Experientials for the Discerning Savannah Traveler. This is fine Savannah Lifestyle.